In the last few weeks in our home, we have had many conversations about Easter and its meaning. It took a little while to get past the newness of peeps and candy filled eggs with our boys, but eventually we landed on the story of Jesus. Simultaneously, our small group has gone through a six-week study called The Easter Experience by City on a Hill productions. This has led us up to celebrating Easter this past weekend. In the midst of all of these conversations and scripture reading around Easter it has allowed us more time to reflect around what Jesus physically went through in addition to His willingness to die upon that old rugged cross. In our group we have read various scriptures leading up to this event and asked each other, ” Who would you most identify with at this moment?” One of the two thieves, Peter, Judas, Mary, one of the guards or on-lookers? We had the opportunity to watch some difficult video that visually shows his pain and suffering. As we landed on Isaiah 53 its amazing to see how over 700 years earlier Isaiah was prophesizing this day to come. It’s fitting that Isaiah means “God is salvation” in Hebrew. Another interesting fact that I learned this week while learning more about Isaiah 53 is how the total chapters in Isaiah is equal to the old testament and the new testament. (66) our Sovereign Lord always shows his authority in so many ways. Now Isaiah 53 has so many truths we can take away. I would encourage you to read slowly Isaiah 53:1-12. If we had only had Isaiah 53 we would understand the birth, life, death, and resurrection of our Lord. We have fallen short, and like sheep needing a shepherd, there is only one person who can save us, Jesus. The suffering that Jesus went though He did not deserve. All of it. Its unimaginable that the sins He died for on the cross include my sins today. And even though Jesus didn’t deserve any of it, He took them all. 4 Surely he took up our pain and bore our suffering, yet we considered him punished by God, stricken by him, and afflicted. 5 But he was pierced for our transgressions, he was crushed for our iniquities; the punishment that brought us peace was on him, and by his wounds we are healed.6 We all, like sheep, have gone astray, each of us has turned to our own way; and the Lord has laid on him the iniquity of us all. It’s hard to even imagine, I take it for granite daily. No, there’s nothing I can do to pay Him back. I simply give thanks, pray to be obedient, lovingly trust Him with all aspects of my life to the best of my human possibility. We deserved the death, but Jesus took it for all of us. We thank you, and love you. From Suffering Servant to Glorious King. The two elements that I think about during Easter are the bread and wine. Two items that were the reminder of the Passover feast have become the representation of Christ’s new covenant with us. But the choices of these elements werevery intentional and purposeful. Christ chose these to give us a true representation of the sacrifice and process that would be necessary for our salvation. During the traditional Paschal Feast, a lamb has to be sacrificed and the blood placed on the doorpost of the family to show that there had been proper sacrifice to atone for the sins of the family. The process of sacrificing a lamb begins with the lamb being brought into the house of the family. The lamb is brought into the house four days before the sacrifice. This originally was to emphasize the meaning of the sacrifice to the Egyptians, but then it became a symbol of the closeness that you had to be to the sacrifice. The lamb had an intimate bond with the family and you knew the cost of the life given for you. The lamb was taken care of and not harmed before the sacrifice. Jesus was familiar with this custom as he was practicing his faith; but, he is revealing a new type of intimacy and price for sacrifice. The elements that he intentionally uses are common among the people and they also have strong meanings. Bread has been for several centuries the sign of health and food. Many times the people were so hungry that they only had a small piece of bread to eat and sometimes it was not available daily. But Jesus had a different view of bread. The seed of the wheat, first, has to be buried before it sprouts new life. Then once the wheat has grown, it has to be harvested and threshed. The outer coating of the seed has to be broken to allow the inside of the seed to be use for nourishment. Next the seed has to be crushed and grounded into a powder or flour. Next the flour has to be worked until it is suitable for the loaf. The process that transforms the seed into the bread, completely changes the form and the nature of the wheat. The next element that he uses for the new covenant is the wine. Wine has for ages been the vehicle for celebrations, healing and ceremonies. From ancient times to the modern times, wine was used to purify water in order to make it potable. But the process of making wine is a very intricate process. The vinedresser finds the correct fruit and then properly harvests the grapes. Then the grapes are placed in a wine vat and pressed with extreme hard labor that crushes the skin and the essence of the grape. The result is pulp and juice. Then the juice and the pulp are stored for a time until the correct amount of fermentation has occurred and then the wine is ready to consume. 15 so shall he sprinkle[c]many nations. Jesus was preparing us in the last supper for the transformation that was about to take place. He was showing us that these were the true representation of His body and what was going to happen to it. The process of his sacrifice was going to be unlike that of the traditional Paschal Lamb, he would have to endure a process that would change the physical, emotional and spiritual forms to produce something that was more power. He would not be recognized after the process. “As many were astonished at you— his appearance was so marred, beyond human semblance,and his form beyond that of the children of mankind.” This was the preparation to the eternal. This is one reason that the women who came to see him after the resurrection didn’t recognize him, because they saw the marred and crushed body of the Messiah before he was transformed. I am thankful for the sacrifice and the transformation of the body for my salvation. Thank you for the awesome sacrifice and humility you endured to save us. Thank you for the redemption and the elements to remind us of the love, power and glory you have. Thank you for the remembrance of your victory over death and sin. Amen. A common occurrence in our house is phones dying. We have charging cords everywhere, in the kitchen, bedrooms, living room and even the car! Sadly, the older the phones get, the quicker they lose their power and die. We all know when we get the first warning at 20%, that we need to find a charger as soon as possible. Where do you find your power? Your strength to make it through another day? 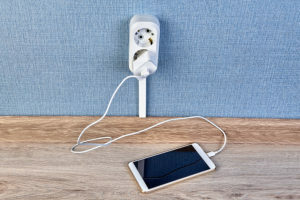 It seems like it would be an easy fix to just plug in to a power source when we feel drained and overwhelmed and then be all set to go again. There are many “power sources” that we try to use to fill us back up when we are drained. We may try working out, taking a nap, reading, chatting with a friend at a coffee shop, going for a walk, having a glass of wine, or enjoying time with friends. All of these are fine things and can help to revive us for a while. But they are all temporal fillings. They will not sustain us over the long haul or bring us consistent peace. Tomorrow is the greatest celebration of the year! A day to focus, remember and worship our Lord, Jesus Christ who Rose from the dead for You and for Me! The power of His resurrection is the power that we have to tap into daily/hourly to keep going in this life. Today our reading is Isaiah 40. The Israelites had experienced the power of God. They were delivered from slavery. God gave them a cloud to follow by day and a fire by night. They experienced food (manna) falling from the sky every morning. And, they had their enemies delivered right into their hands. Even after experiencing all this power from God, the Israelites moved away from their source of power. Praying became less of a daily habit. Keeping the 10 commandments became optional. Parents stopped talking about God with their children. Judges became unjust. And as a nation, their faith slowly fell away. They separated themselves further and further from their Creator, and because of this they became exhausted. Do you relate to this? Has praying become a ritual that happens only before meals or only at Church? When was the last time you sat down to read the Bible for an extended period of time? Do you talk to your children about faith and what it looks like in your personal life? Have you become exhausted like the Israelites and let your faith take a back seat or fall to the side? There are many times I fail at these things. The truth is, we were made to be in deep connection with God (our power source). We are called to pray without ceasing. If we have fallen away from our power source, that is when we find our batteries dying and life becomes exhausting. But, thank You Jesus for your power! Your power on the cross. You died that we may have life, and have it abundantly. The moment we turn to you, pray to You, read Your Word, and tell others about You, we will find our energy return. Have you not known? Have you not heard? The Lord is the everlasting God, the Creator of the ends of the earth. He will not grow tired or weary, and his understanding no one can fathom. He gives strength to the weary, and increases the power of the weak. Even youths grow tired and weary, and young men stumble and fall; but those who hope in the Lord will renew their strength. The will soar on wings like eagles; they will run and not grow weary, they will walk and not be faint. He Is Risen! Plug into the one and only TRUE power Source, Jesus Christ our Risen Lord! Today’s reading is Job 42. 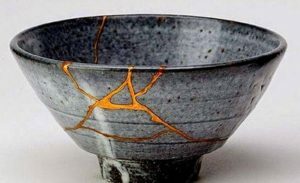 There’s a centuries-old long-standing tradition in Japan called “Kintsukuroi”, or “golden repair”, that pertains to broken pottery. When a cup, bowl, vase, or other piece of pottery breaks into pieces, a craftsman will repair it by mending those pieces back together with a lacquer filled with golden powder. This results in a piece of pottery similar to the original, but covered in beautiful streaks of gold. This is done not only for practical repairs, but to highlight how something broken can retain its worth and usefulness, even taking on new beauty as its past flaws and damage are appreciated in a new light, and ultimately being more lovely than before. Throughout the chapter of Job, we’ve seen one of God’s most faithful servants enduring overwhelming hardship and sorrow, fighting with anger at God and questioning his motives. We see his friends attempting to get Job to confess to whatever sins he committed to displease God and cast this fate upon himself. But after listening patiently for the Lord and learning to accept His will no matter what, Job finally realizes his need for repentance in this passage. He comes to God, admitting: “I know that you can do all things; no plan of yours can be thwarted”. Even after all the suffering he has endured, Job admits first and foremost that God is all-powerful and just, no matter what happens to him. And when he finally repents in this way, the Lord restores his lost fortunes to nearly double what he had lost. Losing sight of God’s control tends to bring about a lot of questions. It’s easy to question how sovereign the Lord is or how good His plan is whenever difficulties present themselves: “Why would God let this happen to me?” “Is God punishing me for something I did?” “How am I responsible for this?” Even Job, about whom the Lord himself says “there is no one on earth like him; he is blameless and upright, a man who fears God and shuns evil,” had to endure great suffering at Satan’s hands. And even then, after facing similar questions yet ultimately holding fast to his faith, Job knows and proclaims that the Lord alone knows what is right. When difficult times overtake our lives, it’s easy to feel attacked or abandoned by God. People often pray for complete avoidance of all trials and perfect, blameless lives, then feel let down when they experience harsh realities instead. But unfortunately, we live in a world enraptured by sin, where bad things happen to both bad and good people alike. We can think of ourselves as righteous believers whom God is punishing and become angry or confused with Him, but the truth is all of us live in a fallen world where all people must deal with the consequences of humanity’s sinful nature. Let’s face it, we’ll never know for sure why He allows these bad things to happen: some things are just too infinite and complex for us to comprehend. But as Romans 8:28 tells us, “We know that in all things God works for the good of those who love him, who have been called according to his purpose.” We can rest assured that no matter what comes our way, God is working in our favor always. We know God uses our worst hardships and trials every day to create beautiful moments pointing towards His love and redemption. We become broken, imperfect, destroyed by sin, left tainted and worthless; mere pieces of God’s image of us. But in our struggles, when we proclaim that God is in control and He is righteous and just, He will take care of us and help us heal. Only in Him can our broken pieces, shattered and left imperfect by a sinful world, be mended into a beautiful reminder of how God will always make us whole. Job goes from a lowly sinner, ravaged by death and fire and illness, into a blessed and wealthy upright family leader. But his restoration to former wealth and beyond is not the focus; God could have rewarded Job with no earthly gifts and the ultimate reward of eternity with Him would be the same. And when we too surrender all control to God in our times of questioning and anger and sin, he repairs us and makes us whole, gifting us eternity by His side. We go from shattered remnants to beautiful vessels, yearning to be filled with the Holy Spirit. 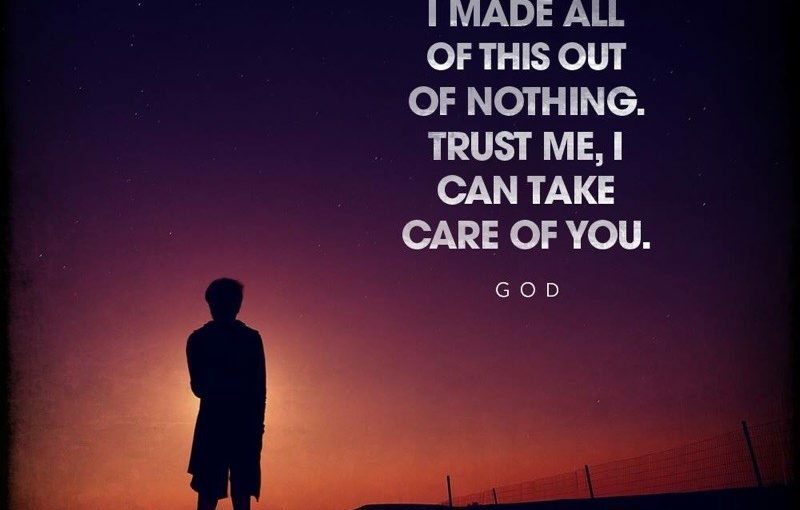 So when trouble comes your way, big or small, remember that God has a perfect plan that He is putting into action right now, where he will carry your through your toughest times and make you whole again in Him. Today’s reading is Job 38. Yesterday, we read Job 1-2, so we know Job was a man who had it all so to speak…personal wealth/possessions, family, and health. Then, it was all taken from him. Like mine, your Bible may have headings for the chapters of the book of Job that follow. Just a quick skim of these can show you the many emotions and feelings of Job through troubling times which are likely some of the same we have during trials. Although he didn’t state it on the outside to the public, I would imagine Tony Bennett had his Job-like moments privately to himself, if not verbally to family or those closest to him. He likely wondered what God’s plan was in all of this and why God let it happen to Him, a faithful Christ follower who likely also plays by the rules when many coaches in college basketball don’t. He may have even wondered if his critics of his slow down coaching strategy and calm demeanor were right. Could he really get the job done? If Tony Bennett thought these things, we do not know what the Holy Spirit may have said to him. However, we do in fact, know what God said to Job here in Job 38. 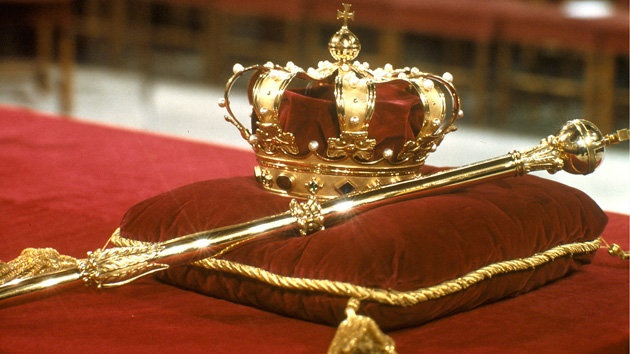 God reminded Job that he in fact was sovereign and in charge. In Job 38:4-6 He states, “Where were you when I laid the foundation of the earth? Tell me, if you have understanding. Who determined its measurements-surely you know! Or who stretched the line upon it?” God continues to speak to Job with this message and in Job 38:12 says, “Have you commanded the morning since your days began, and caused the dawn to know its place?” If we read on to Job 42, Job ultimately confesses and repents, and God rewards Job for that confession and repentance by giving him twice as much as before (Job 42:10-12). Ultimately, Job did not think that God knew the physical and emotional pain and public disgrace he was going through. Thankfully, we know that now through Jesus, God experienced every type of pain we have. Knowing of His upcoming scourging and crucifixion, He experienced emotional stress so great that when He prayed in the Garden of Gethsemane He sweated drops of blood (Luke 22:44). He experienced relational distress and abandonment of those He thought were friends when one of His 12 closest friends, Judas, betrayed Him leading to His death (Luke 22:48), not to mention another one of his 12 closest friends Peter denying He knew Him not once but 3 times (Luke 22:54-62). He even had family relational turmoil and abandonment with His brothers telling Him to leave and not believing Him (John 7:3-5). He experienced public disgrace and embarrassment when the soldiers mocked Him (Luke 22:63-65), and the crowds yelled “Crucify Him! Crucify Him!” requesting the release of a murderer in Barabbas instead of Him (Luke 23:18-21). Wait…even Jesus experienced the unfairness of bad things happening to good people and good things happening to bad people!? And of course, He experienced the physical pain of the scourging (John 19:1) and then being nailed to the cross (John 19:18). How blessed are we that during trouble times we can have peace knowing that we can talk to and pray to God who felt what we are feeling? Just a year later here in 2019, after being down in the first round to a #16 seed again by 14, Coach Tony Bennet’s team won the national championship! Coach Bennett said he played the song Hills and Valleys by Tauren Wells for his team before the game. 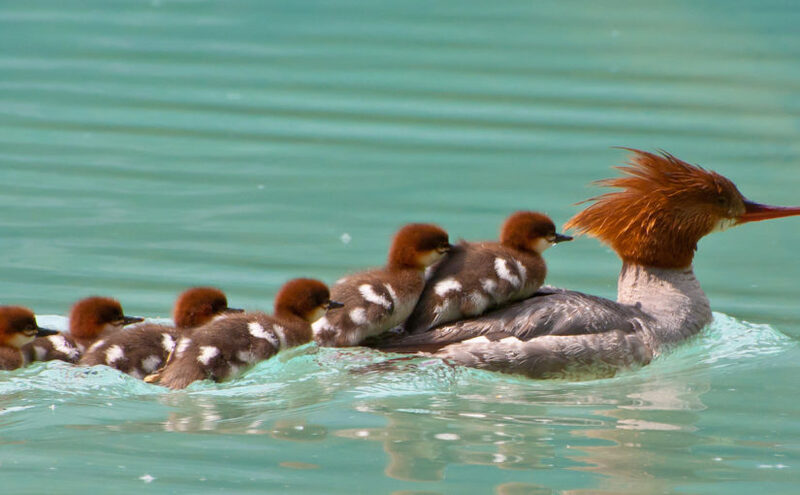 He said, “It just means that you’re never alone in the hills or in the valleys. And we faced those from last year to this year. But the credit goes to those young men, and I can’t wait to celebrate with my wife and my kids and my parents. And I do want thank my Lord and Savior.” He also said, “I think there was a bigger plan going on here. I wasn’t needed but I was used in it, and I hope that it’s message for some people that there can be hope and joy in resiliency and I’m thankful for what happened.” I’m sure he wasn’t thankful last year after the loss, but now the bigger picture and plan can be seen. When we take an eternal perspective on the hills and in the valleys, it changes everything. As we reflect on Maundy Thursday today, Good Friday tomorrow, and Easter Sunday, let us not forget that our story is part of God’s story. He took the absolute worst event in the history of mankind, the only truly innocent person to ever walk the earth being tortured and killed, and turned it into the greatest event in the history of the mankind…brining us together into oneness with Him through the forgiveness of sins which gives us eternal life. Coach Tony Bennett quoted to his team last year after their terrible loss Psalm 30:5 which says, “Weeping may tarry for the night, but joy comes with the morning.” Joy truly does come with His resurrection on Easter morning. It not only means that we can face whatever trials this life brings, but most importantly, it means He conquered death, and now so can we. I think I have a love/hate relationship with the book of Job. I find things in this book that disturb me, that I find beautiful, that I fear, and some things that I don’t understand. So let’s read through and I’ll point out along the way some of these “loves” and “hates”. Chapter 1 Vs 5- “love” As a dad Job was concerned that his children may have offended God and would get up early to make a sacrifice on their behalf to God. Also it mentions that, “This was Job’s regular practice”. Am I characterized by a regular practice of praying for my kid’s hearts to be Gods? Vs 6- “hate” Satan presented himself before the Lord. I don’t like the idea of this because I don’t understand it. (I thought that God couldn’t be in the presence of evil because of His holiness.) “love” I know that Satan is accountable to God and that Satan can only do what God allows him to do. God is in control. Vs 8- “hate” The Lord asked Satan if he had noticed Job. This entire mess was God’s idea not Satan’s? God is in control. Vs 9- “love” Even Satan recognizes God’s love and protection for us. God is in control. Vs 12- “hate” I dislike that Satan is allowed to work in a person’s life to this degree, but I “love” how it is clear in this conversation Who is setting the ground rules for the test. God tells Satan not to mess with Job physically. God is in control. Vs 21- “love” After losing everything and everyone in his family besides his wife, Job fell to the ground and praised the name of the Lord. Would I respond to these circumstances in this way? Chapter 2 Vs 3- “hate” Again Satan comes to the Lord and the Lord asks if Satan has noticed Job. “love” God’s thoughts on Job after Satan has taken horrendous pot shots at Job. “Job is the finest man in all the earth, he has maintained his integrity even though you urged me to harm him without cause.” I “love” that God defends Job to Satan, pointing out that Satan is not as powerful as he wishes he was. God is in control. Vs 6- “hate” God allows Satan to take Job’s health, but I “love” that again God sets the parameters for this and only allows Satan to mess with his health. Satan is forced to spare Jobs life. God is in control. Vs 10- I “love” Job’s response to his wife. “Should we accept only good things from the hand of God and never anything bad? Do I have this much integrity? Vs 11- “love” When Job’s friends heard about what had happened to him they went together to him to comfort and console him. Do I make myself available to comfort and console friends who need it? Vs 13- “love” Job’s friends sat on the ground with him for seven days and seven nights. No one said a word to him for they saw that his suffering was too great for words. This verse is beautiful. The note in my Bible explains that according to Jewish tradition, people who come to comfort someone in mourning should not speak until the mourner speaks. Am I willing to consider that people might be better helped and loved by my presence, than my attempt at insightful words? After reading through these chapters again today, there are still things I do not understand. This is a good thing. If I understood God fully, He would not be who He says He is. My human limitations cannot comprehend all of God. Praise Him that He is above all gods, mighty, holy, ultimate truth, creator, faithful, deliverer, just, our keeper, our offering, sovereign Lord, our help and our strength. God is in control of all! This I LOVE more than I have words to express. Are you in “hesed” with God? The terms contract, agreement, treaty and covenant have the same basic legal interpretation. Two or more sides, or parties, have agreed to carry out obligations or responsibilities in exchange for favors from the other party. We live with these kinds of agreements on a daily basis. When we write a check, use a credit card, take out a loan, or sign a lease, we are engaging in a covenant relationship with the merchant or lender. With our signature on the check, credit card or loan application, we promise to pay for the goods or services in the future. We must be faithful to carry out our regular payments, or the agreement will be terminated by the other party. If either party becomes dissatisfied with the behavior of the other party, the right to end the relationship is exercised. When I hear the word “covenant,” I am reminded of the marriage vows, most sacred of all covenants in our human world. The man and the woman take vows to love and support each other in the good times as well as the bad and to forsake all others while putting one another first. If one person breaks the covenant, the relationship is tested, or perhaps broken. It is a covenant made and ratified in heaven. So how often do we hear or think about the word “covenant” when describing our relationship with God? This idea of covenant was important to the formation and continuation of the political, military and economical relationships among many of the ancient kingdoms. Alliances and empires were built largely upon covenants — covenants which were often very fragile. Hesed can be defined as “passionately loyal, a deep, never-ending love.” Both sides in the covenant “doing hesed” toward each other. Scripture reveals that the ancient Hebrews soon realized that God’s hesed was everlasting. Here was a God who kept on “doing hesed” with them even when they had broken relationship with him. The God of the ancient covenant is the same God of the Christian faith today. The invitation is the same today as we hear the words paraphrased from scripture, “I will be their God, they will be my people, if they turn their faces toward me and surrender themselves completely.” Our God is a God who is “passionately loyal” to us his people, desperately wanting to “do hesed,” eagerly pursuing us. Are we consistently in covenant with the God of hesed? 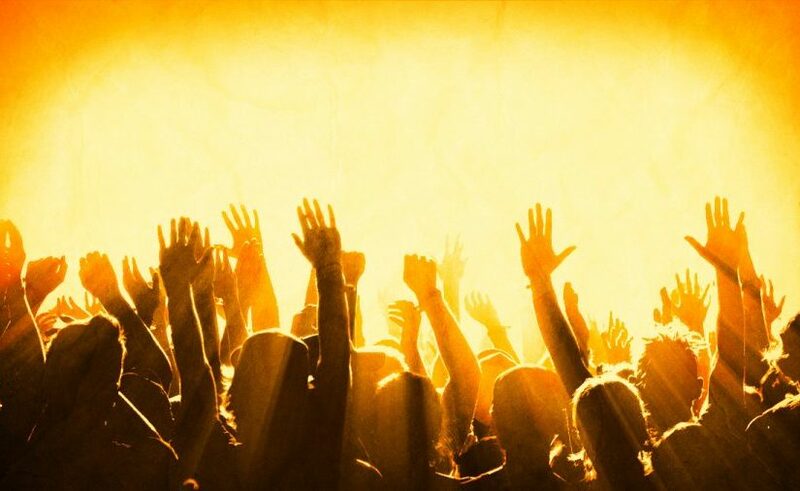 Posted on April 16, 2019 April 16, 2019 Author Rachael PerryCategories UncategorizedLeave a comment on Are you in “hesed” with God? What is the most dangerous thing you have ever done? When I asked myself that question, I had a hard time answering. Truth is, riding my bike with no hands is probably it. In modern-day America, we simply don’t face danger. Occasionally, we may face danger that will put our reputation or popularity on the line, but never our lives. That reality makes it a little harder for me to appreciate the risk that Queen Esther takes today in Esther 4. In short, she is informed that the only way to save the Jewish people from certain death was to go and risk her own life before the king. Not long before this challenge was given her, Esther was the chosen one. Everything was going right for her. Her beauty and loyalty earned her high place with the king. That is until her cousin, Mordecai came to her with this special challenge. She must go before the king and ask him to save the Jewish people. This task, she knew, could easily result in death. This is the part that has me wondering. What would I really put on the line for God? The reason we may never know the answer to that question is that we have an amazing ability to dodge the question. Seriously, when something challenging comes up, we look for simpler ways through it. Maybe there is an option that will satisfy everyone without going to such an extreme. If not another solution, we simply avoid the question all together. Life goes on. Or does it? Among the most captivating verses in this passage is verse 14. Mordecai explained that there is a cost for silence. In fact, the cost is extremely personal. He explains that God’s plan to save the Jews will succeed. He will prevail, with or without her. Additionally, if she chooses “without her,” she will die anyway. So will all of her family. Ouch! I’ll be honest. When I compare my commitment and faithfulness to Esther’s, I feel like a wimp. Like Esther, I cannot justify my silence when I know God is calling me to more. Thankfully, unlike queen Esther, our lives are not on the line. Or, are they?